About Gerhard V. Message Gerhard V.
Gerhard was prompt, friendly and extremely knowledgeable. He gave us a very good overview of Berlin and some insightful information as to Berlin's history. Gerhard was so informative & welcoming. We booked him for our first morning of a 5 night stay and he waked us through all the major sights but also told us a bit about the area we were staying in which was a nice touch. 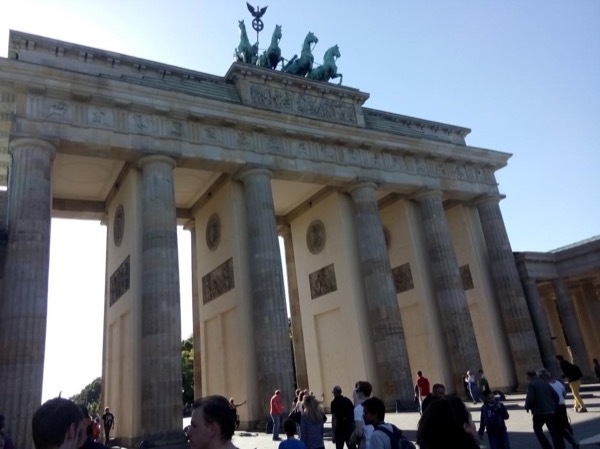 We would absolutely recommend booking one of Gerhard's tours, as he really brought Berlin alive for us and meant we got our bearings pretty early on so we could explore further at our leisure! Thank you Gerhard. Gerhard is extremely knowledgeable and provided a first rate tour. Gerhard was fun, knowledgeable and a great guide. We did a two and a half hour walking tour and learned so much. Highly recommend him. I have used tours by locals on at least five prior occasions. This is the first time I've been disappointed. This guide is knowledgeable, but he lacks interpersonal skills. He was there to get a job done; but he didn't go the extra mile I am used to from Toursbylocals. He was punctual. And he is familiar with the historical sites but his presentation lacked animation. Gerhard provided a most informative tour. He was able to share his extensive historical knowledge in an engaging manner. Gerhard was excellent! He met my husband and me at our Berlin hotel on the 1st of our 3 days there for an informative and interesting morning walking tour to orient us to more touring on our own. Thanks to his perfect planning, we happily covered more than we expected in a short time, and we were thrilled by his outstanding historical, cultural, societal, and political expertise (and his perfect English and delightful sense of humor). Gerhard was very polite and informative and we had a great tour at a reasonable pace around the hotspots of Berlin. He knew his stuff!!! Gerhard is a delightful tour guide, full of relevant information and a sense of humor. We enjoyed an outstanding walking tour with him from our hotel to many of the historically significant sites in Berlin. His narrative was not merely factual, but very interesting and relevant in today's world setting. The directional orientation we received enabled us to self-navigate the rest of this week so far. We highly recommend Gerhard if you are lucky enough to find him available. Gerhard took us on two tours. First in the morning, Gerhard picked us up and toured us from our hotel to many highlights I had asked to see in Berlin. He gave us historical facts about many buildings in Berlin. He showed us a delicious restaurant for lunch and waited for us during our mustang safari after which he continued our tour and answered questions we had about Berlin and history. Gerhard also took us to the DDR museum and told us some of the highlights inside. Gerhard is a great tour guide. We really enjoyed our walking tour with him. 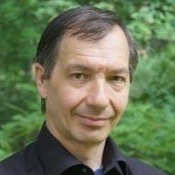 He has a nice personality and has a thorough knowledge of Berlin. TOUR GUIDE RESPONSE: thank you sir. I'm pleased about your comment. all the best for 2015. with kind regards Gerhard V.
Thank you for sharing Berlin's history with us! Great tour!!! TOUR GUIDE RESPONSE: Thank you. Be welcomed in Berlin, back again. Greetings, Gerhard. Most efficient, and knowledgeable tour guide. Great personality. Gerhard was knowledgeable and enjoyable. Our only issue was that we were not able to enter a palace that we would like to see because of the line. I would have liked Gerhard to arrange for the tickets to be purchased earlier in the day so that we had that option. Gerhard went the extra mile to accomodate our family of 4. He has a superb knowledge of Berlin and its history. Don't visit Berlin without contacting him!